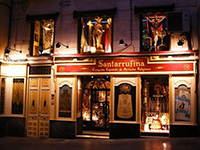 Santarrufina S.L. Enterprise to serve the Church in the creation, preservation and restoration of Sacred Art. Since 1887 serving the Church cover all your needs: Silversmithing, vestments, statuary, etc. Since 1887 serving the Church to cover all your needs: Silversmithing, vestments, statuary, etc. Since 1887 serving the Church to cover all your needs: Silversmithing, vestments, staturay, etc. We are known for our great variety in textiles, Vestments and custom designs. You will receive our catalog for free. Advanced information about special offers. Obtain a 5% discount on your first purchase. Becoming a member is completely free, simply provide us your personal data. Want to see how we work our parts? For more information enter the Youtube channel. D. Carlos Mario (priest) testimony (in spanish). 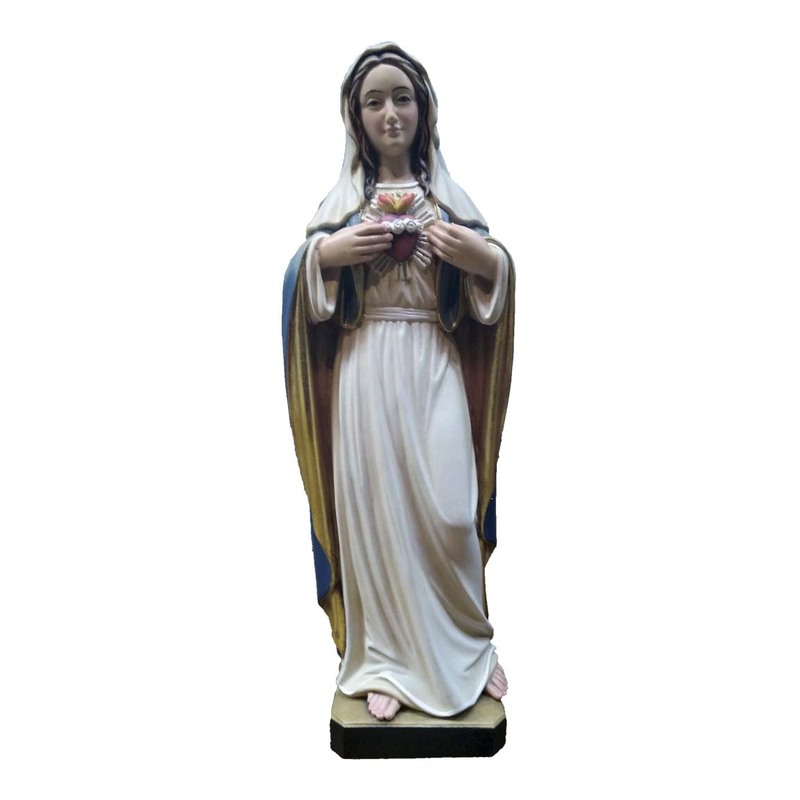 Image of Sacred Heart of Mary made in hand painted wood carving. The image is represented with Mary pointed with both hands the heart. 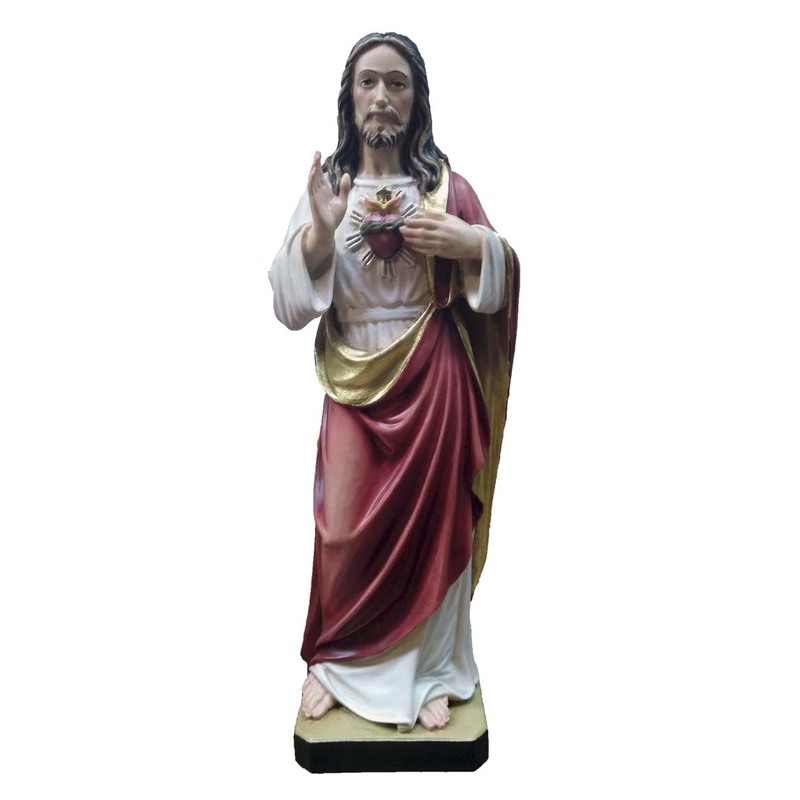 Image of Sacred Heart of Jesus made in hand painted wood carving. The image is represented with Jesus pointing with one hand the heart and with the other open. The Pope is the first pilgrim and Monsignor Ulloa invites us to register. Santarrufina has been chosen as the supplier of ornaments and goldsmiths for the celebrations of the central events of the World Youth Day, Panama 2019. Santarrufina will build the monumental organ of the Cathedral of Panama.